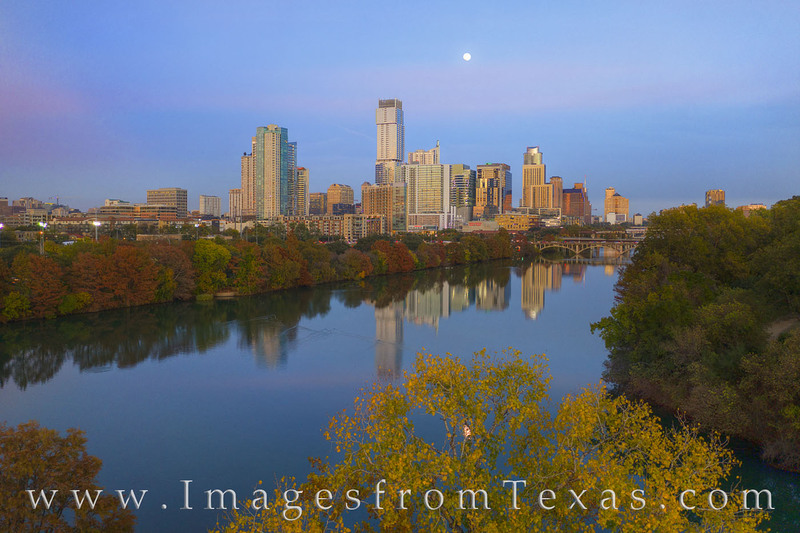 As a full moon rises over the Austin skyline on a cool November evening, the trees along Town Lake (formally known as Ladybird Lake) show off their Autumn colors. The water was calm and the highrises climbed into the waning light of evening. Austin’s tallest building now is the Jenga Tower (officially the Independent)… just a few feet higher than the Austonian. Photo © copyright by Rob Greebon.